Mike received his B.S. from Texas Tech University, his M.S. from Texas State University, his Ph.D. from Mississippi State University, and a postdoctoral at Texas Tech University. 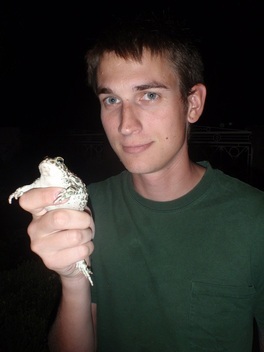 His research has focused on a wide range of organisms from alligators to bats. Currently, Mike is a computational biologist at RTLGenomics, where he works on bioinformatic analysis.